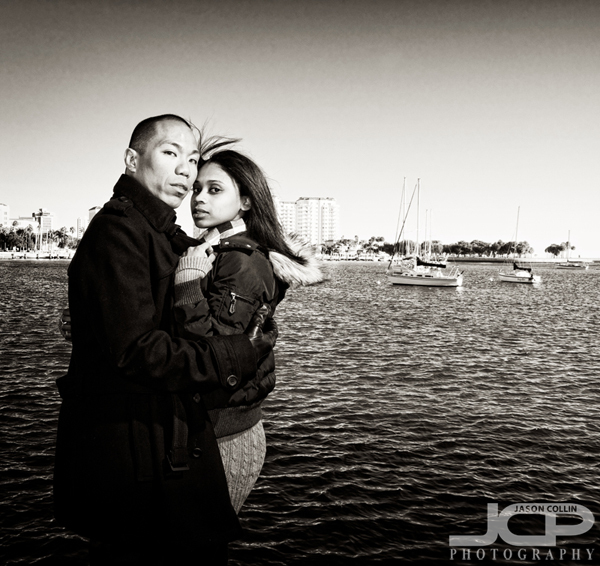 Mother Nature provided perfect weather for our winter romance themed shoot in Saint Petersburg, Florida. A long in the planning modeling shoot finally came together on a blustery and semi-arctic (for Florida) morning in Saint Petersburg which suited the shoot theme of "winter romance" perfectly. Models Glen and Johora had no trouble fitting their wardrobe to the conditions. I first met Glen earlier this year at a FACES fashion show at USF. I asked him if he knew of anyone to do the winter romance shoot with and he invited Johora. It is always great when the models are already friends as they will be at ease with each other and can chat away while I setup for the various shots. Despite the relatively early and chilly hour, Johora was constantly energetic. As you can see, my love affair with the "sepia landscape" filter continues. This is in part because I really like Silver Efex Pro and because last month I saw a lecture by master photographer, Pepito, who mostly only shoots in sepia. His work really made an impression on me. Glen looking all business.We shot at five different locations in just over 90-minutes of shooting, all of which were a good distance apart, so this moving around kept every one from freezing solid. I reluctantly wore a jacket myself as I am loathe to in Florida out of principal that it should always be warm here. This shot was my idea. I saw the backlit tree and thought it could be a good prop. 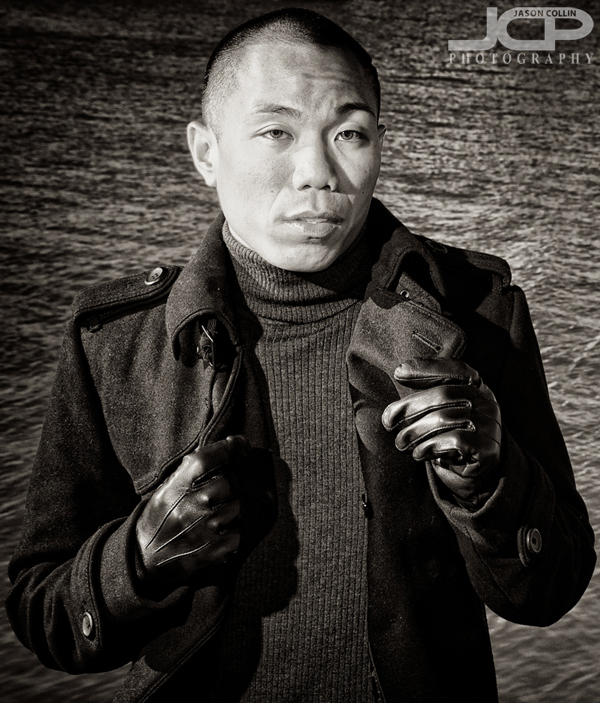 The shoot was a lot of fun for me and it was good to get to know Glen more and to meet Johora. We already started talking about doing a sunrise shoot come spring!